2016. Cleveland, Ohio. USA. 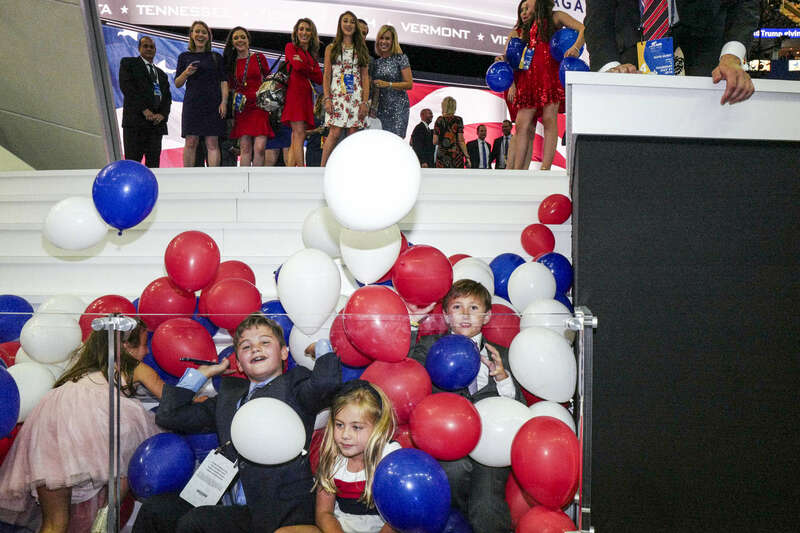 Kids play on stage after the end of the RNC at the Quicken Loans Arena.